The shoot will happen in the comfort of your own home! I will not be taking over every room in your house – will just need a couple of spaces (preferably near a window) where we can play! I don’t limit my baby shoots to a particular age. Any age goes! 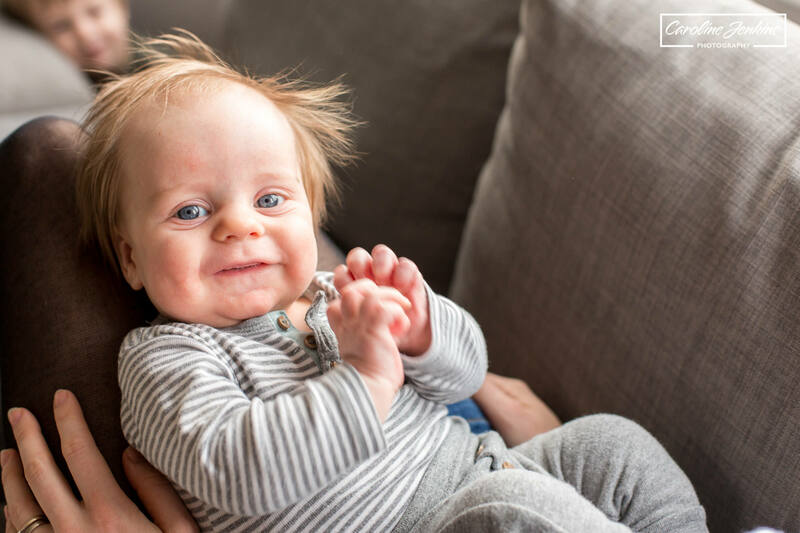 The younger they are they are more likely to sleep and snuggle, the older they are the more likely we’ll get interaction and giggles! I allow anything up to 3 hours for my shoots so we are guaranteed to get some cracking shots. This also takes into accounts feeds, naps, nappy changes, snack breaks etc. I like to include all members of the family. I think this is important, especially if they have older brothers or sisters! Those magical cuddles and interactions are just awesome to capture! 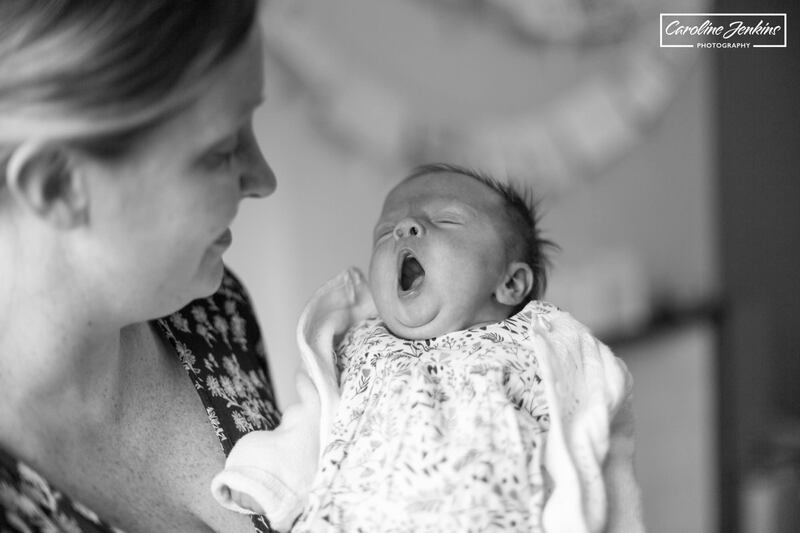 Having a newborn is a rollecoaster of emotions and stages to get your head around. 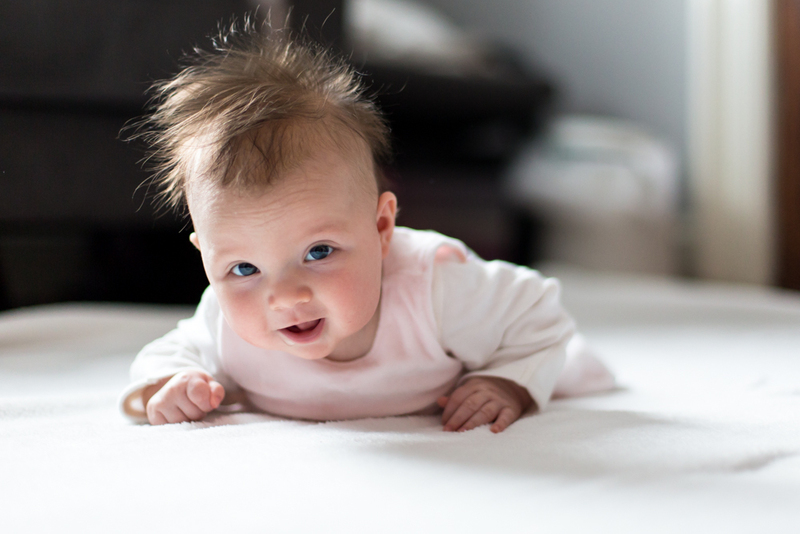 Whether it’s your first baby or your fifth baby, there are some things that do not change – like how tiny and scrunched up they are at the beginning, to how small their feet are to oh how cute and spiky their baby hair is! Over time these observations may give way to the current and immediate things that are happening around you and you may even forget them. Not if you have them captured, with you included so you can enjoy and revel in the here and now! 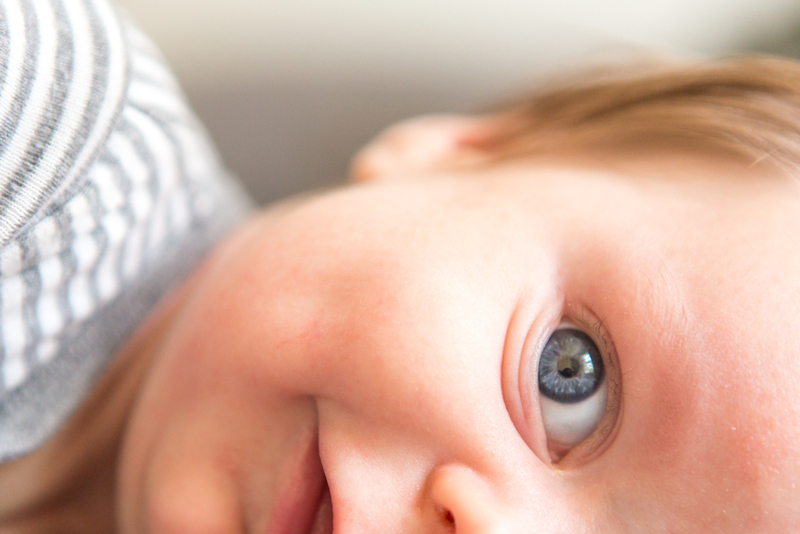 We’re all guilty of going overboard with photos for the firstborn and then the following children have fewer and fewer just because life is just so hectic and you undoubtedly have an excitable toddler to entertain for 12 hours a day! 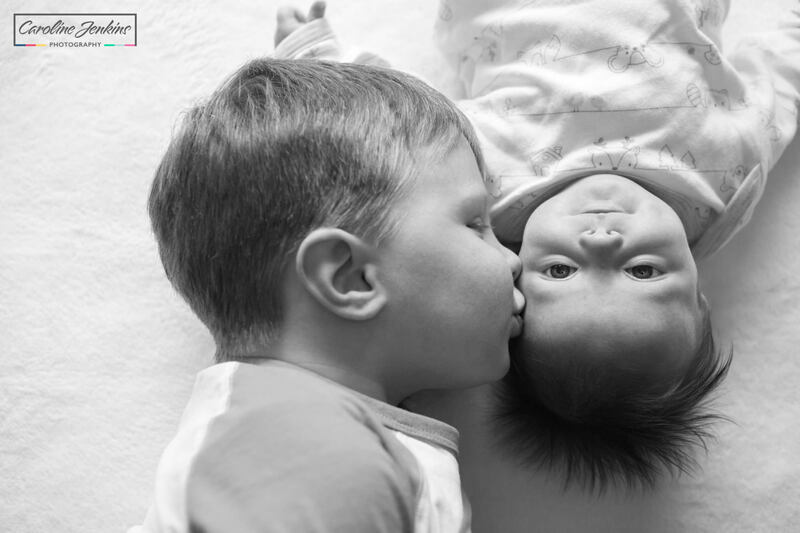 That is why it is just perfect to have a baby photo shoot in Winchester. 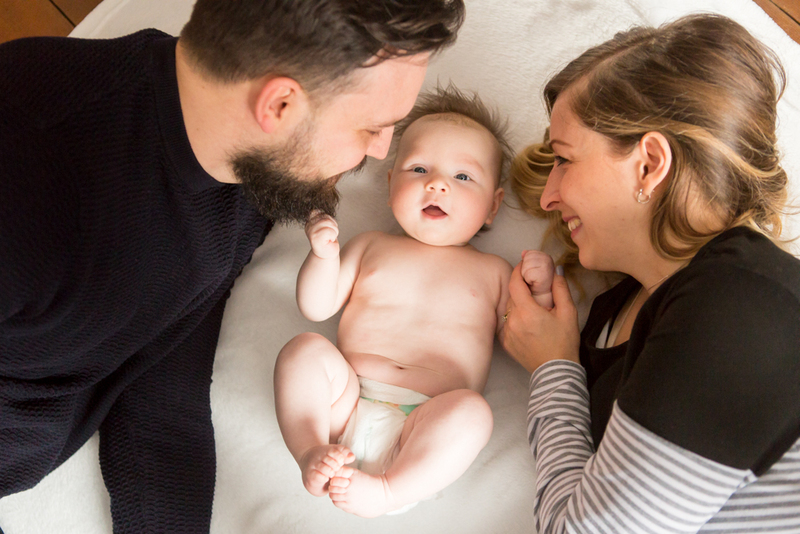 I call it a baby photo shoot, but it is in fact a baby and family photo shoot because you will want to include everybody. 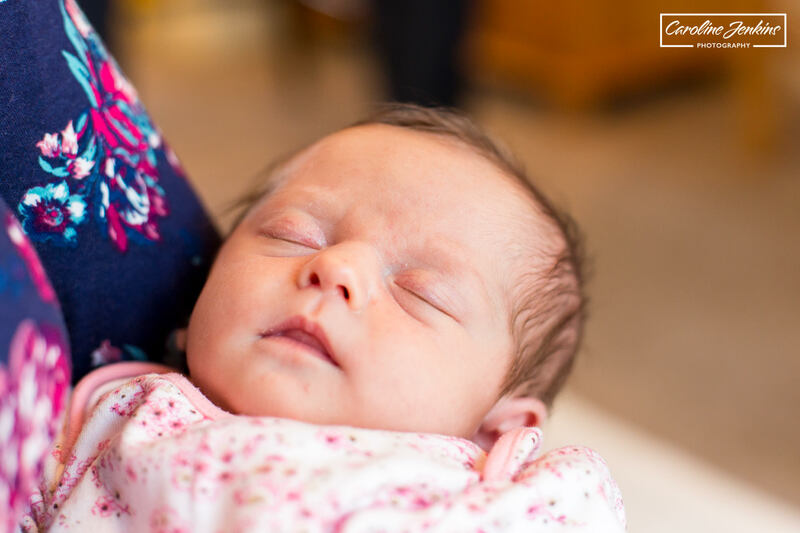 It is great to capture the little details of the baby – those feet will grow and the days of falling asleep in your arms will disappear, but it’s lovely to be able to capture the cuddles between baby and their older brother and sister, or the smiles they give when they see their mummy. These moments you can keep and treasure forever. Plus how lovely to have pictures of your oldest cuddling your youngest (before they’re too old to run away) or have that ever precious picture of both parents and all the children (which is so rare because somebody is always missing)! 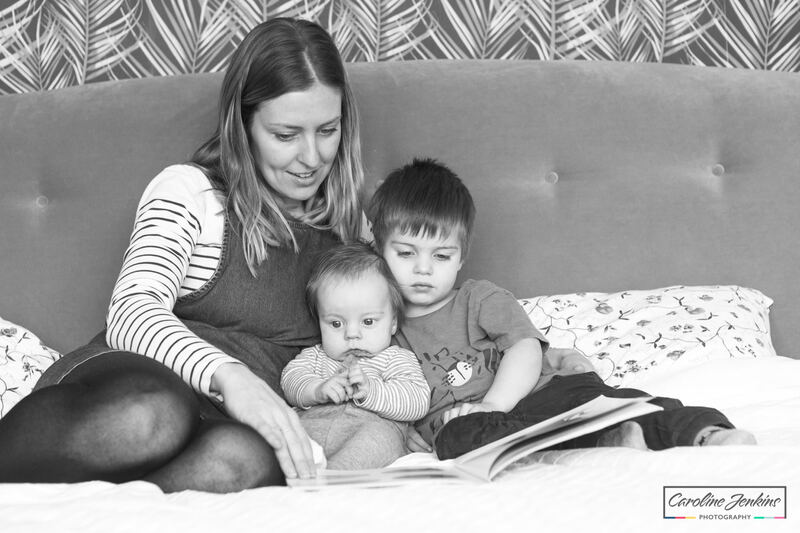 I am a Mum of two – Charlie is 5 and Evie is 18 months behind him. I’ve been there – I know the chaos, the mess, the lack of routine and the toddlers unwillingness to conform. I am not there to judge you or criticise you. I am there to work with you (plus I’m more than happy to chip in with the entertaining, the cuddles and the snack breaks etc!) Whatever you need so we can get the best from everybody! I allow up to three hours for my sessions. This may seem a long time, but once baby has fed, been changed, napped and any siblings have been encouraged to participate, this time can go very quickly! I will come to your house at a time and on a day that suits you and your family. You may have a routine, you may not, and that’s all good. I can work with you and around your needs. I come to you so that you, your baby and any other children you may have, all feel safe, secure and comfortable in your own surroundings. The older children can be entertained more easily and are generally happier plus I have found that parents really like having their “stuff” in the background. 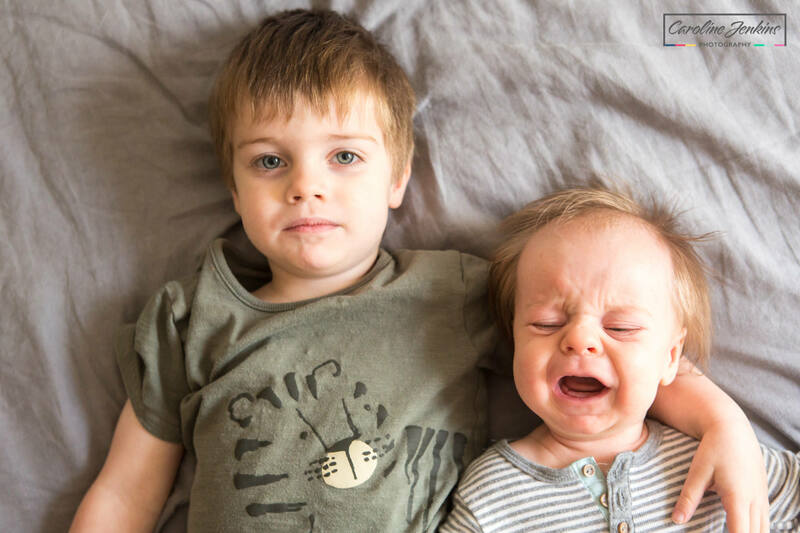 Please do not worry if the baby is clingy and grouchy or the toddler is refusing to smile. 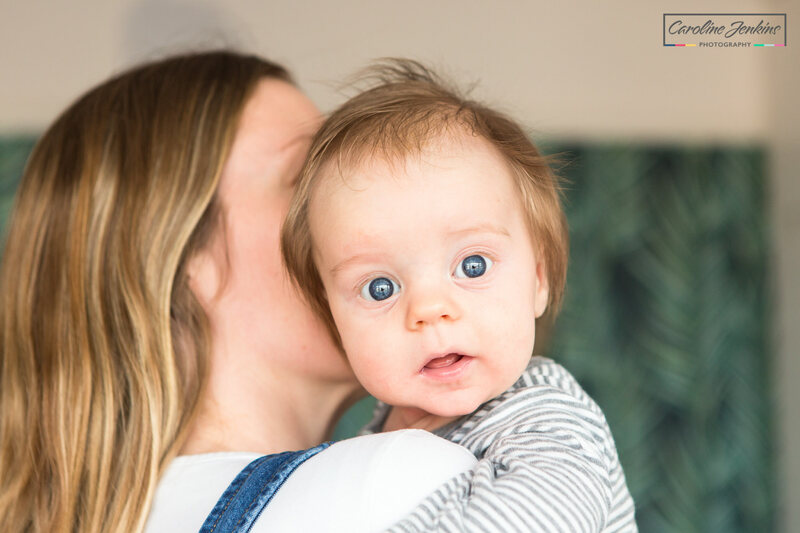 I am there to capture your life – so if a limpet baby and a grumpy toddler is your reality then that is what we will capture. You cannot pretend to be something that you’re not and you will still love the pictures because they are special and they encapsulate your life! If you have other children, I like to offer treats / special snacks as a reward/bribe/incentive. Please let me know if there are any dietary issues or if you’d rather I didn’t! Older children love it when Caroline provides them with special snacks – they seem to taste so much better when they come from me for some reason! !If the weather is lovely then I’m more than happy to take the shoot to your garden or a nearby park if you’d rather have outdoor pictures. I do not offer the wrapping and posing techniques where baby is swaddled and positioned in specific ways. If you are looking for these photos then I am afraid I cannot help you but I am happy to make some recommendations of other photographers. 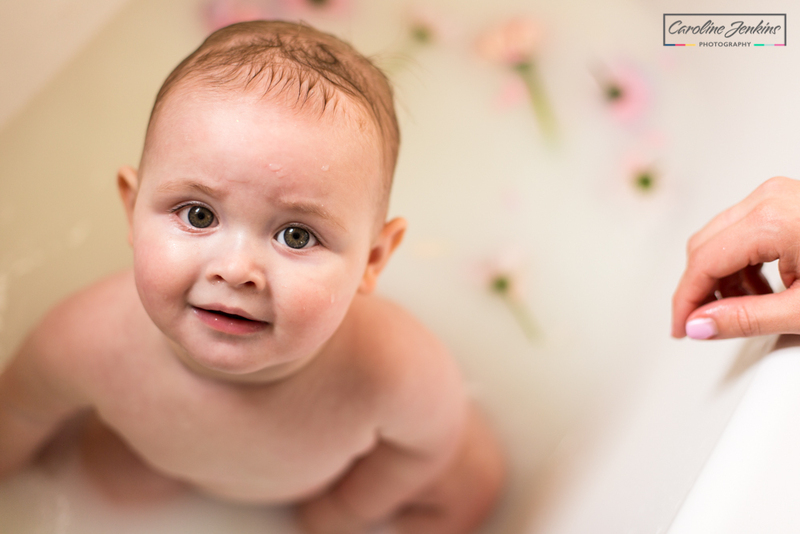 I deliberately have not called this a newborn shoot. You can call upon me at any time. If the baby has developed into a toddler then we’ll just call it a toddler photo shoot rather than a baby photo shoot in Winchester. Your house does not need to be perfect. I am not there to judge or comment on any mess. It is family life and reality so please don’t turn your house into a show home for me. All I will need is one or two areas in the best lit room you have (window-lit if possible as I far prefer using natural light than flash). 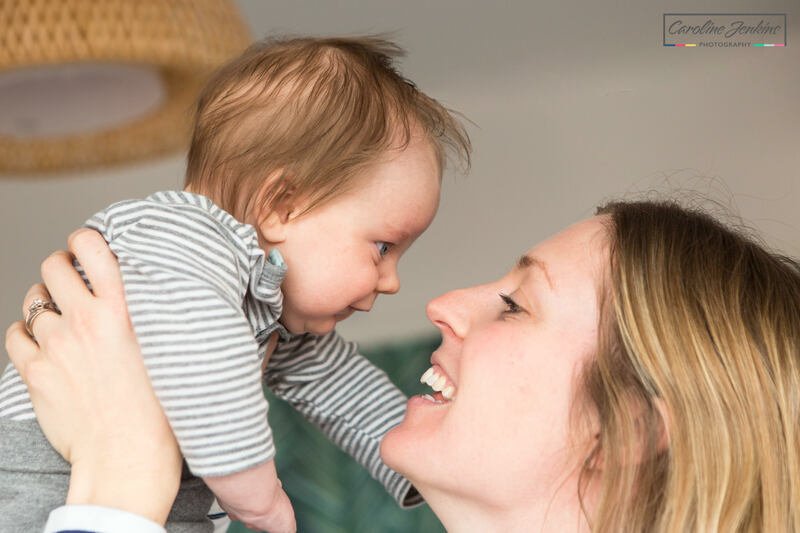 If you would like to have pictures with your baby then you may want to think about the clothes that you wear so that you don’t clash or draw attention away from the baby. I would suggest plain colours with no print as then the baby can be jazzed up to the max! 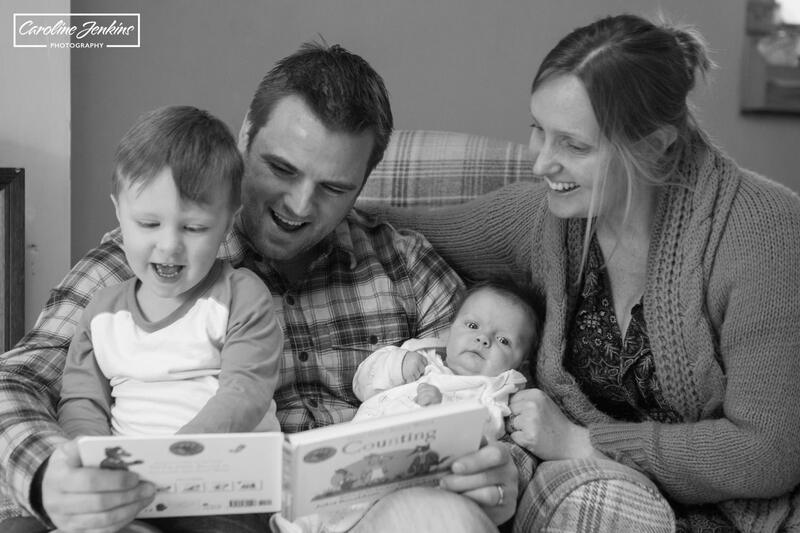 If you have other children then I will try and take many family pictures – some posed and cuddly and some involving stories or playing. I am there to capture your family in the here and now. So if your world currently revolves around your 3 year olds love of diggers, let’s embrace that! You may want to think about your favourite outfits for the child(ren). I’m obviously more than happy to have outfit changes to mix things up a bit, plus naked pictures, although you may want to make sure that your heating is on so that baby doesn’t get cold when s/he realises that his/her clothes are coming off! After the shoot I will deliver your photos in an online gallery that is only accesible by a direct link. All the images will be watermarked and in low resolution but I will re-upload them when you decide which package to buy and which images you choose. All images will be available in both colour and black and white. There is no obligation to buy any of the images. I would really love to use some of the images for my portfolio and for advertising and marketing purposes. Please tell me if this is not ok.